LONDON (Reuters) - Changing gas price dynamics caused by an influx of liquefied natural gas (LNG) to Europe have played into Russian producer Gazprom's hands and enabled it to increase pipeline flows to the continent so far this year. Gazprom is moving determinedly with spot gas sales in Europe due to a near-fivefold spike in U.S. LNG sales to the continent in October to January compared with a year earlier. But sales within Gazprom long-term contracts are also rising. In January, Gazprom gas flows to Europe totalled 17.6 billion cubic metres (bcm), an almost 0.5 bcm rise from the same month a year earlier, Gazprom data shows. One reason for the rise is a change in time spreads on European wholesale gas contracts, which is enabling some traders to increase purchases in long-term deals with Gazprom or through spot auctions by the company. This trend shows how LNG, which has flooded Europe since October, is reshaping gas prices and flows in the continent, with traders still adjusting to the new market environment. "LNG has really changed the situation," a gas trader said. "We have to write new textbooks." A jump in LNG supplies contributed significantly to oversupply in the European gas market, leading to high storage levels and pushing down price spreads. Day-ahead gas prices in most European countries are almost on par with summer contract prices, which makes it more profitable to buy gas on the prompt market rather than withdraw it from storage sites. "When you look at storages, due to the day-ahead pricing (being) flattish (compared) to the summer, it makes sense not to withdraw as you can't cover the withdrawal fees with the spread between the day-ahead and summer," a London-based trader said. This week, the day-ahead price on the Dutch hub has traded slightly below the summer 2019 contract price. A year ago it was trading almost 10 percent above the summer contract. "At the current day-ahead to summer spread it makes sense to reduce withdrawal and keep (the long-term contract with Gazprom) running," a trader in continental Europe said. Gas traders have a bearish outlook for both contracts, meaning Gazprom's flows could remain high until the end of March, with Europe entering the summer season with multi-year-high storage levels. Gazprom's trading arm, Gazprom Marketing and Trading, has also been more active on European hubs selling gas, traders said. In the spot market, Gazprom has been selling gas in auctions it launched in September. In February, the majority of gas in auction has been sold for prompt delivery so far, while in January traders bought more February contracts, expecting cold weather. 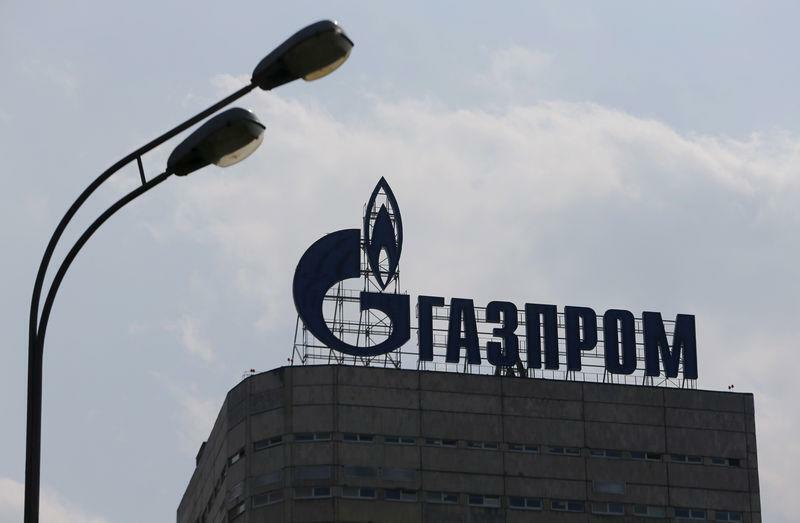 Traders said the price in auctions is usually very close to that on European hubs, showing Gazprom is becoming more flexible with its price strategy to win buyers on the continent. Refinitiv analysts expect storage in northwest Europe, excluding Britain, to close the winter season at around 190 terrawatt hours (TWh), against 50 TWh at the end of March 2018. This would be the highest stock level since 2016 and pressure summer gas contracts further. The Dutch summer price is 8 percent cheaper this week than a year ago and is showing the biggest discount to the next winter contract in seven years. Summer contracts in Europe are widely forecast to be very weak this year, a trader said. "(But) what everyone expects is not usually what happens as it's priced in well."